I was so excited when I first discovered the “massaged kale salad” and shred it here. More excited still with my recent discovery of Kale chips. 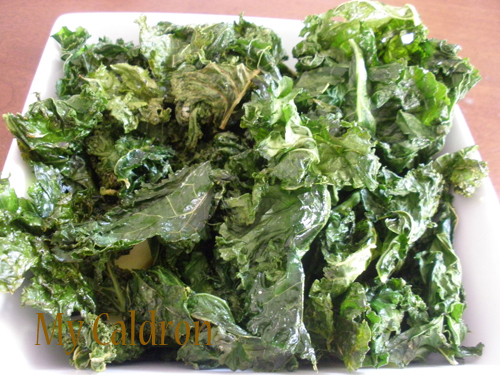 I followed Kate Eats Real Food’s recipe here and came up with an excellent – crispy and de-li-cious chips kale chips! !